The European religious landscape is changing fundamentally. Are we experiencing a decline, revival, recycling or transformation of religion? Moreover, will Europe become a museum of religions or a laboratory of new religious experiences? A group of experts from different disciplines and nationalities, meeting in Pecs, Hungary – the European Capital of Culture 2010 –, examines in detail, the contrasting developments around the religious lives of individuals, communities, institutions, emerging from processes of secularisation, relativisation, and privatisation (“believing without belonging”). What emerges is a picture of very contrasting mega-trends, with positive and negative aspects, characterised, for example, by a sharp decline in traditional situations as well as the emergence of new situations rich of flurries, which are featured mostly under the so-called “creative minorities”. On which heritage of ultimate values does the EU and its member states, want to base the cohesion of the new society, while respecting cultural diversities and religious pluralism? What happens in the world of religions cannot be side-lined, if we are looking for an appropriate response. 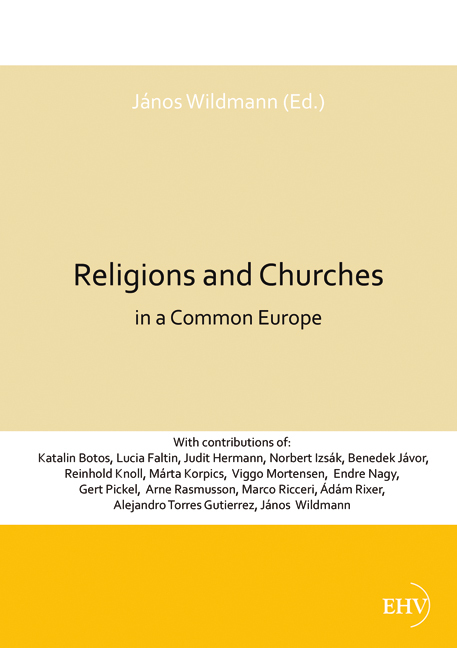 Important indications can be provided by the way in which, the heads of religious institutions, as well as communities and individuals live in “possible dialogue”, in a European society that is increasingly multicultural, multi-ethnic and multi-religious. The analysis of on-going experiences in Europe shows that a truly constructive dialogue can give a vital contribution to the strengthening of social cohesion and democracy. But what are the real terms in this confrontation? In other words, what is tolerable? And, what is acceptable? European experts, who have worked with a multidisciplinary and systemic approach of the analysis of these phenomena, attended the initiatives of the European Research Group R.I.P.E. – Religious Innovation and Pluralism in 21st Century Europe, which was founded in 2006, by Prof. Viggo Mortensen, Aarhus University, Denmark (www.ripe-project.eu).